Psi? *Sigh*: Say "Hello" to my furry little friend! I've been under the weather lately. I picked up some kind of bug in my travels, and I just can't seem to shake it. I've been on antibiotics, gotten lots of rest and done what I can to look after myself. But no luck. I'm still pretty sick. The weather hasn't helped either. I'm really sensitive to it. Not just rain and wind, but geomagnetic conditions too. I know that sounds a bit crazy, but I've actually been tested in a lab just to see how sensitive I am. It turns out that I'm pretty darn sensitive. I hate being stuck inside, so on one of my better days last week, I went to the park despite being sick. It was pretty nice. Lots of butterflies and birds to visit with. I also made friends with a cute little pine vole at the outlook in the park where I like to sit and feed the chickadees. You don't see pine voles all that often this far north. I understand they can be a bit of a nuisance farther south, but our winters keep them in check. Anyway, I gave him some of the seeds I had brought for the chickadees and he seemed quite pleased about that. My husband and I had dinner at our corner pub when I got back from my walk. I told him all about the various things I had seen while I was out in the park. 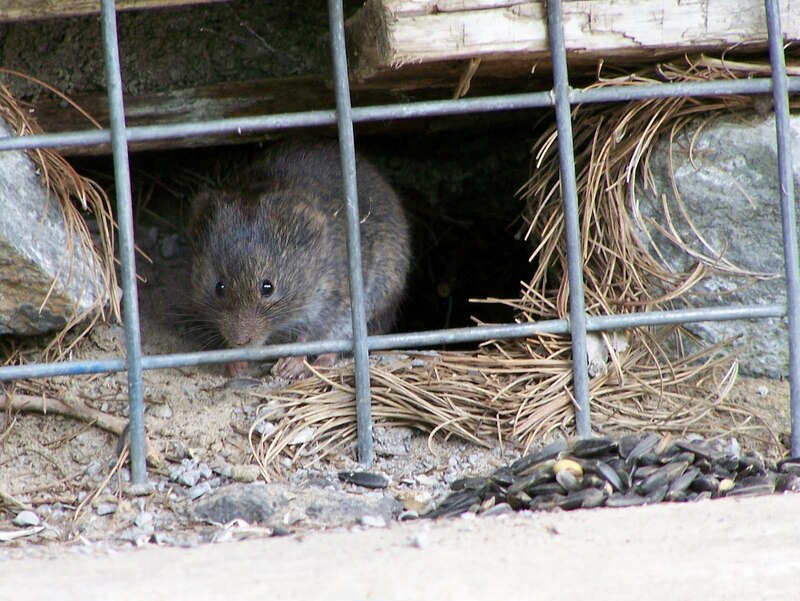 In particular, I told him about the little vole that I thought was so cute. He jokingly asked if I was planning on turning it into a pet. Sitting in the middle of the table between us was a holder for ketchup, vinegar and all the other condiments one might want for the burger and fries my husband had ordered. It was nothing fancy, just a Corona beer carton converted into a holder. Our conversation about my plans to possibly bring home a pet vole were interrupted by the vinegar bottle in the condiment holder moving up and down as if being pushed around from underneath. It almost looked like there was some kind of a small animal moving things around. My husband saw the vinegar bottle moving and asked if I was seeing what he was seeing. When I confirmed that I saw it too, he asked if I had smuggled my new pet into the restaurant and allowed it to play with the stuff on the table. I was so relieved that he didn't get upset. It is funny that the bottle did move like a mouse was inside the holder pushing things around. I think pk can be like that, it takes what is going through your mind very literally. I was thinking about my little furry friend from the park, and it was almost as if he had followed me home. I love this story and this insight into how pk works!